Former Leinster and Leicester Tigers forward Dominic Ryan has retired from rugby as a result of concussion. The flanker, who won one cap for Ireland, was stood down by Leicester after suffering repeated head injuries. Ryan, 28, played 113 times for Leinster and the Irish province confirmed his retirement on social media. He moved to Leicester in June 2017 and his fourth and final appearance was in the Tigers' Premiership win against Harlequins last September. 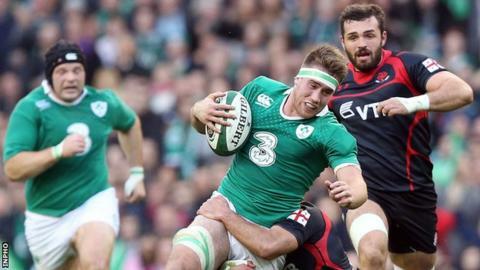 The Dublin native had a head injury assessment during that victory against Quins at the Stoop after he had previously appeared to suffer a blow to the head while tackling George North in a defeat at Northampton two weeks earlier.